The Spanish Hall of the world’s largest castle in Prague was an imposing venue for last week’s EGS24 gas summit. The energy security theme of the summit was consistent with Europe’s increasing concern over the reliability of gas imports from the east. But the most interesting product of the summit was a profound clash of world views on energy and environmental policy between Czech President Vaclav Klaus who opened the summit and Bill Clinton the guest of honour and speaker at the summit banquet. The Spanish Hall of the world’s largest castle in Prague was an imposing venue for last week’s EGS24 gas summit. The energy security theme of the summit was consistent with Europe’s increasing concern over the reliability of gas imports from the east. The Czech Republic’s hosting of a summit of this nature reflects the increasing importance of the Czech gas market as a transportation and storage gateway for gas arriving into Europe. Summit discussions focused on the recent evolution of the Czech market as a result of liberalisation, the sale of storage capacity and completion of the OPAL pipeline linking the Czech market to Nordstream. This evolution is set to continue with the arrival of new sources of southern supply through South Stream/Nabucco. 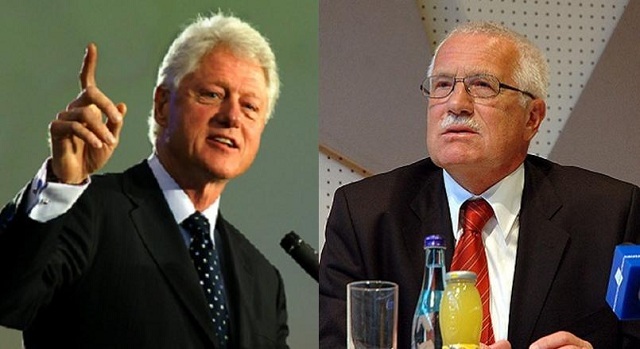 But perhaps the most interesting product of the summit was a profound clash of world views on energy and environmental policy between Czech President Vaclav Klaus who opened the summit and Bill Clinton the guest of honour and speaker at the summit banquet. Vaclav Klaus, unlike his predecessor Vaclav Havel, is somewhat of a divisive figure in European politics. He is a vocal critic of EU energy and environmental policy and an ardent climate change sceptic, a convenient position given the importance of fossil fuels in the Czech energy mix. His views are anchored by a strong belief in the importance of sovereign autonomy in determining economic, energy and environmental policy. He is also a strong advocate of free market economics, a position which from a gas market perspective sits uncomfortably with his close ties to Russia. In Klaus’s view, central planning in Brussels to promote renewable energy is burdening consumers with hidden costs, increasing sovereign debt levels and eroding the competitiveness of Europe. While these views currently represent the fringe of popular opinion across Europe, elements of Klaus’s criticisms pose a distinct threat to Europe’s current approach on energy policy. Decarbonisation of the European energy sector is a challenge that relies on strong co-ordination across European governments to prioritise and deliver costly reforms to energy market design and infrastructure. This co-ordinated response is already being challenged by unilateral policy measures such as the UK’s carbon price floor. But the resurgence of the financial crisis represents a much broader threat to European co-operation and is likely to increase public sensitivity to the cost of reforms. As Europe falls back into recession, the concern Klaus voices about the impact of EU energy policy on European budgets and competitiveness may well gain broader support, particularly given the competitive advantage the US is enjoying from a dramatic reduction in its cost of natural gas. The vision Bill Clinton presented for energy and environmental policy had a much more co-operative focus. This stems from his world view that the increasing interdependence of nations is driving a requirement for multilateral engagement on key policy issues. In direct challenge to Klaus’s views, Clinton highlighted the threat posed by climate change to the global economy and to global security. He emphasised that the problem of climate change by nature required a co-ordinated response across nations. He also stressed the importance of gas as a bridging energy source in the transition to decarbonisation. The one clear area of agreement between Clinton and Klaus was on the growing importance of energy security, encompassing not only security of physical supply but access to a relatively stable energy cost base. Clinton was firmly of the opinion that energy independence is a critical ingredient underpinning a nation’s long term economic growth and security. His definition of independence reached beyond domestic resources to include resource-rich neighbouring countries and strong relationships with politically stable exporters. Interestingly, Clinton highlighted the importance of shale gas for US energy independence and made specific reference to his belief that hydro-fracking was safe and reliable as long as it was governed by an adequate environmental regulatory framework. Clinton’s vision of a co-ordinated energy policy response to climate change more closely reflects the mainstream political agenda in Europe. But Klaus’s emphasis on sovereign autonomy and the cost of decarbonisation represents an emerging populist threat. The way these opposing views interact against the backdrop of the financial crisis is likely to have a profound impact on the evolution of Europe’s decarbonisation agenda and energy policy. There is already evidence of a waning focus on policy implementation. But a broader loss of political support could form a serious roadblock for the EU vision of an integrated decarbonised energy market. Clinton was at his most engaging as he finished his speech with a call to recognise the benefits of a diversity of opinion. He emphasised that open debate and respect for a dissenting viewpoint have been instrumental in improving political response and driving progress towards the resolution of difficult problems.